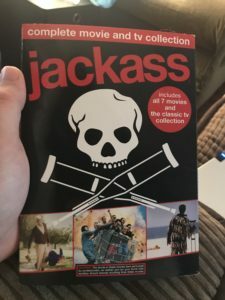 Jackass Complete Collection - DVD Review - ReDVDit! Jackass is an American reality television series that was originally shown on MTV from 2000 to 2002, featuring ten stuntmen, Johnny Knoxville, Bam Margera, Chris Pontious, Dave England, Steve-O, Ryan Dunn, Brandon DiCamillo, Ehren McGhehy, Preston Lacy, and Jason Acuna, as they all performed a variety of dangerous, crude, self-injuring stunts and pranks. The show later sparked several spin-offs, including Wildboyz, Viva La Bam, Homewrecker, Bam’s Unholy Union, and Dr. Steve-O as well as various feature-length films that were distributed by MTV’s corporate sibling, Paramount Pictures. The show sparked a considerable amount of controversy, as it was seen as indecent and encouraging of dangerous behavior. The cast struggled to cope with the censorship that was often imposed on the show, which included forbidding certain footage from ever being released, and opted to not return to the show, instead continuing the rest of the franchise as a series of feature films owing to the looser restrictions on its content. Jackass was developed from Big Brother Magazine, a skateboarding-related humor magazine that Jeff Tremaine, Dave Carnie, Rick Kosick, and Chris Pontious all worked for, and featured regular contributions from Johnny Knoxville and Dave England, among others. The concept of the show dates back to 1998, when the failing-actor-turned-writer Johnny Knoxville thought of the idea of testing different self-defense devices on himself as the basis for an article. He pitched the idea to a couple of magazine and was turned down until meeting with Tremain of Big Brother. He was brought on board as a journalist and was convinced to videotape this idea and other stunts for stories. The footage, which featured Knoxville being tasered, maced, and shot while wearing a bulletproof vest, appeared in the second Big Brother skateboarding movie: Number 2. 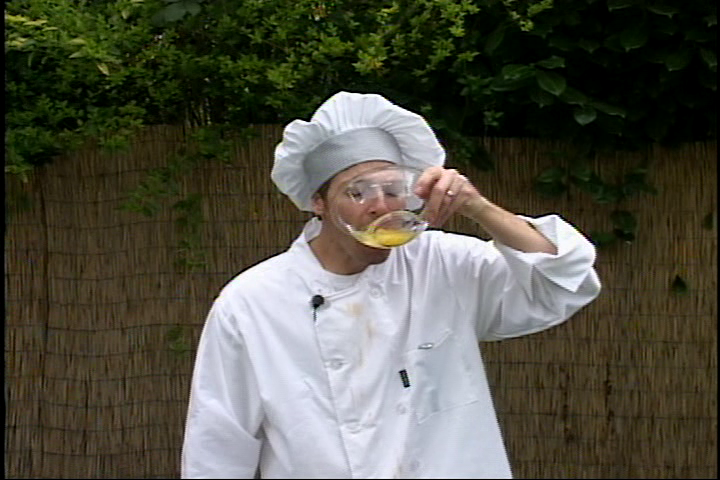 Since the initial episode, Jackass frequently featured warnings and disclaimers noting that the stunts being performed were being done by professionals and should not be imitated. Such warnings not only appeared before and after each program, and after each commercial break, but also in a “crawl” that ran along the bottom of the screen during some considerably risky stunts, as well as showing their “skull and crutches” logo at the bottom right of the screen to symbolize the stunt performed as being risky. Nevertheless, the program has been blamed for a number of deaths and injuries that involved teenagers and children as they tried to recreate the stunts. When the television series ended, each member of the cast found new work in film and television, each gaining their own degree of success. Knoxville pursued a career as an actor, appearing in such films as the 2004 remake of Walking Tall, The Dukes of Hazzard, Men In Black II, The Ringer, A Dirty Shame, Big Trouble, and The Last Stand. Margera and the CKY crew were given their own spin-off show with Viva La Bam, which followed Margera and his family. When Viva La Bam finished its run, Ryan Dunn, who was also part of the crew, was given his own show named Homewrecker, in which he finds revenge for helpless victims of practical jokes by renovating the prankster’s room according to the original incident. The show only lasted one season. Pontius and Steve-O were also given their own spin-off show, Wildboyz. Unlike the other shows, Wildboyz rejected the formula of practical hokes and instead featured the two as they traveled the world in search of wild and exotic animals. Jackass is a series that I, and many others grew up with during their adolescent years. Watching this group of friends carry out a significant number of stunts on either themselves or each other would make us turn our noses in shock as we all shared the pain and impact of whatever crazy stuff they were doing was being carried out. A definite guilty pleasure among many, this particular set is one that does a nice job at re-living the addiction to the insanity we all once had. Unfortunately, this particular set of Jackass is available on DVD. However, this set, despite being on DVD didn’t look too terrible by any means as it offered a visual experience that was comparable to the days of when it aired on television. Unfortunately, it doesn’t really stand out all that well like we would have seen with a remastered video track; but to sit down and re-visit some of these stunts in any capacity was nice, clean, and able to be understood without the need of any kind of additional focus as it progressed. Packaged with a Dolby Digital 5.1 audio track, the Jackass Collection offers as much of an immersive experience as possible within the limitations of the format as a whole. Being able to hear as much of the stunts as possible did a fantastic job at conveying exactly what the group of friends were experiencing as they were carried out. While it’s obviously not as immersive as lossless technologies could offer, everything about the audio track in this release was decent enough for everything to be heard and understood without having to manually adjust the volume levels as it played onward. Overall, I’m really happy that we had the opportunity to sit down with this Jackass Collection. It had been many years since I’d last watched either an episode of the show or any one of the movies. That said, I do wish that they’d taken the time to make this release available onto Blu-ray. Despite that minor aspect of discontent, this particular release does a really great job at bringing back some of the fun that we had watching this as it aired, as the movies had their theatrical run, the fun and laughs that we all shared as these guys carried out the various idiotic stunts they had all for the sake of a laugh. If you’re considering grabbing this set for your collection, I’d highly recommend it. Especially if you grew up with the movies or television show. 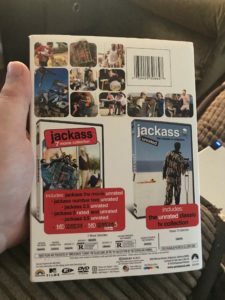 The Jackass Collection was released onto DVD today, and the price is more than reasonable.